Dice fatty meat. Heat the olive oil in a pot. Seal the meat. Add the salt, onion, pepper and coriander and meat. Add enough water to cover and boil gently 20 minutes with the onion. 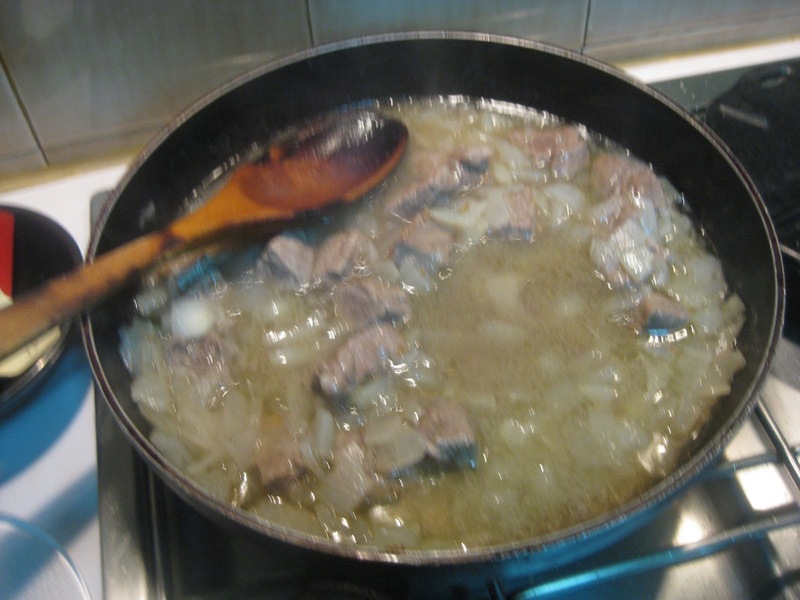 Remove the meat and onion and clarify the sauce. Put the meat and onion back in the pot and keep warm. Put plenty of water in a separate pot and add butter, lard and oil and bring to a boil covered. Remove the lid and add macaroni. Being to a brisk boil and gently shake the pot from time to time. Let cook 9 minutes. Remove from heat and cover let sit for 5 minutes. Strain remaining water. Put the macaroni on a platter and let the grease settle. Pound the meat and put it on the macaroni. Sprinkle with cinnamon and ginger and serve. 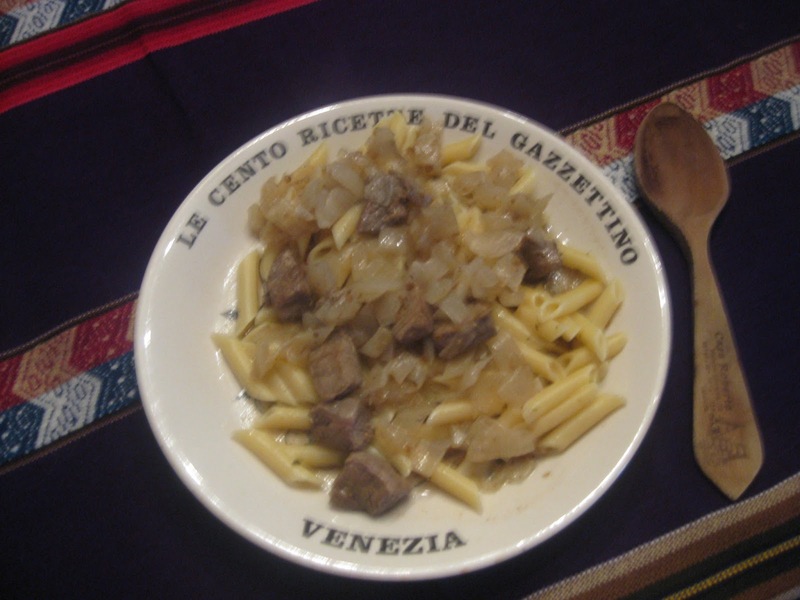 Rice or noodles may be used instead of macaroni. Huici and Perry explain that the Hispano-Arab name is atriyya or itriyya, which is pasta of Greek origin known to the Arabs by the 8th century or so, i.e. five centuries before Marco Polo! This is a very basic and bland dish. The instructions for cooking the pasta are very interesting and correct. It does come out al diente with this rule of thumb. It however, needs pepping with garlic, fresh basil, oregano, a bay leaf and when ready to serve plenty mature cheese grated. This step is not necessary as it is assumed the meat is tender and the eaters have teeth!